We recently caught up with Geoff Proctor, the head coach of the EuroCrossCamp in Belgium. 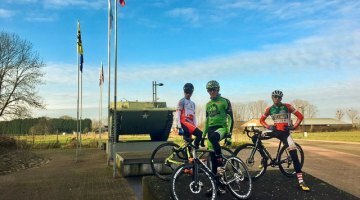 The camp takes the top American riders in the Junior, U23 and Elite ranks to Belgium for a two week racing camp over the Christmas holiday season. This marks the ninth year of the camp and we talked to Geoff this week about the evolution of the camp, how the first week went and a preview of the races to come. 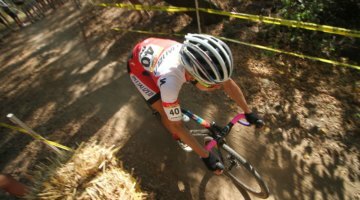 Cyclocross Magazine: Over the past nine years, how has the camp changed? Geoff Proctor: EuroCrossCamp has remained committed to its mission of preparation for Worlds and European racing experience throughout the program’s span. Each year, the race schedule changes a bit with races shifting around. Some years, like this year, the World Cups are Elites only, although there is still a very high level Junior and U23 race in conjunction (just not officially World Cups for the youth categories). For example, this year the only difference between Zolder 2010 and Zolder 2011 is that U23s and Juniors race in their team kit, not national team kit. The level could actually be higher since powerful nations like Belgium won’t be limited to just six riders like in a World Cup. So little changes like that. Another change: I honestly feel the level of American riders coming to the Camp is getting higher, so it shows that our US programs are developing. I’m really indebted to those programs for getting their riders ready for the Camp. Nine years is a pretty good block. 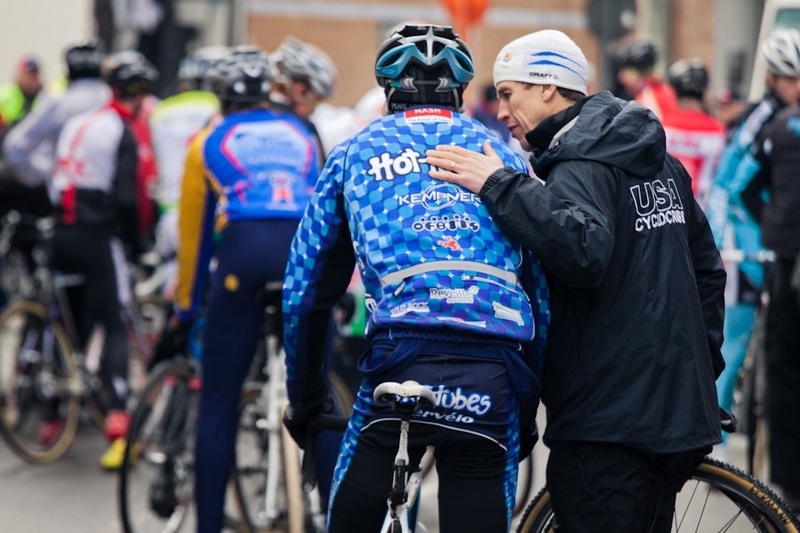 I was chuckling today when Junior Nate Morse told me on a ride that he enjoyed watching the film Transition II and its segments of the Camp featuring Alex Howes, Bjorn Selander and Danny Summerhill as a way to get prepared. That gave me a reality check on the Camp’s longevity. All three of those guys are World Tour or Pro Continental riders for 2012. CXM: What are some key races where we should be looking at some of the riders to excel? GP: We’re entering the real meat of the schedule now with Diegem today. These next races have a lot of history and the level is very high. This year, with Diegem on a Friday night, it’s the last work day in Belgium before the holidays. So they actually moved the start times later this year to accommodate people getting off from work. The U23s this year will be racing under the lights and I don’t want to think about how crazy the atmosphere will be for the Elite men’s race at 7:30 pm. Friday Night Lights for sure! CXM: How was the first race weekend for everyone? GP: The first weekend was better than in years past for our Juniors. We had three Juniors in the top 10 in Namur (Drew Dillman sixth, Logan Owen seventh, and Curtis White 10th) on a very challenging circuit. OK, Matthieu van der Poel (Adri’s second son) has barely lost a race this year and beat our guys by two minutes in Namur, but I have positive vibes for our guys. They are a really keen bunch. Our Elites, Ryan Knapp and Jake Wells, are finding their legs after a few smaller races this weekend, and our U23s have been making steady progress. Yesterday, we traveled to the far north of Nederland with two U23s, Dan Gerow and Kolben Preble, for a very muddy race. Both produced valiant efforts, mixing it with pros like Lars Boom in the mixed pro/U23 field. U23s Yannick Eckmann and Zach McDonald have just arrived, so no racing yet for them. CXM: What are your predictions for Diegem and Zolder coming up this weekend? GP: It’s always hard to make predictions. I always emphasize being proactive, rather than reactive. There are so many factors to these races – fitness, morale, conditions, terrain, technique, level of field, health, support – you just have to go out there and do battle and give it everything and see where you land. Stay tuned for more EuroCrossCamp coverage.